Kyocera Solar Panels Kyocera Solar Panels offered by Surya Solar are an excellent choice for Grid-Tie and Off-Grid applications. We offer Kyocera Solar Panels with MC connectors (GT) or a Junction Box (TM) making them very adaptable to your needs. Kyocera solar panels with MC Connectors are great for large arrays making it a snap to interconnect large arrays or the handy Junction Box for making connections in a weather tight box on the back of the solar panel. Kyocera is one of the world's largest vertically-integrated producers and suppliers of solar energy products. Kyocera's advanced cell-processing technology and automated production facilities produce highly efficient multi-crystal photovoltaic modules. To protect the cells from the most severe environmental conditions, they are encapsulated between a tempered glass cover and an EVA pottant with a PVF back sheet. The entire laminate is installed in an anodized aluminum frame for structural strength and ease of installation. 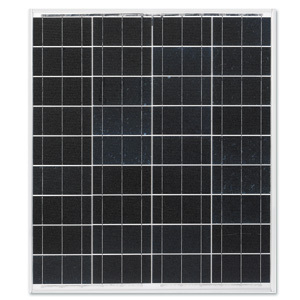 The Kyocera KC130TM, 130 Watt Solar Panel and Kyocera KC130GT, 130 Watt Solar Panel are a couple of our most popular solar panels for a wide variety of applications.